I made my bed this morning. Because not only did I make my bed, but it’s the FOURTH DAY IN A ROW of making my bed. That is the longest streak of bed-making in my adult life. I stopped making my bed on a regular basis after I left home for college in 1990. But this morning? I made my bed. 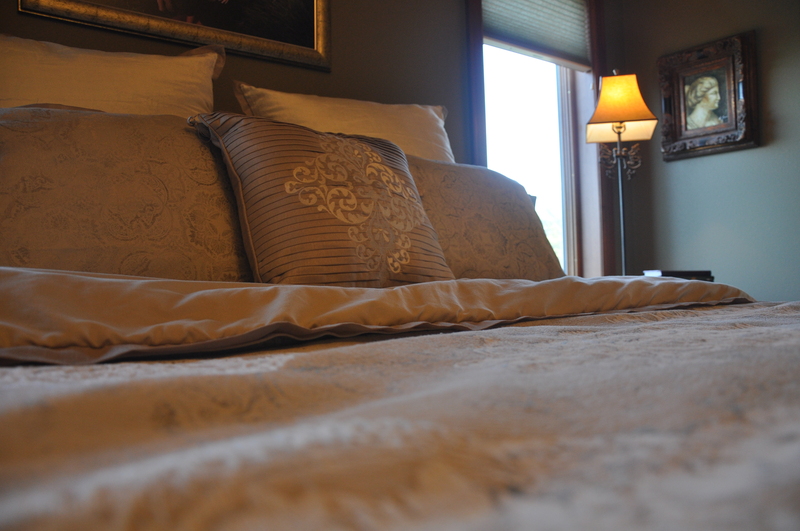 I pulled the sheets tight, straightened the comforter over the top, and set the pillows just so. And because I was feeling particularly ambitious, I opened the blinds, to let the morning light stream in on that tidy rectangle. I had spent the last quarter of a century convincing myself that making the bed was an utter waste of time, seeing how we’d only be undoing that same bed at the close of day. Now, that doesn’t mean that I never made my bed. I enthusiastically made it after purchasing a new bedding set at the store. But my enthusiasm would wane after approximately 37.5 hours. I also made the bed when we were expecting guests, particularly my mother who, for all these years, has wrongly assumed that she had instilled the bed-making habit in her daughter. Woe to me, I’ve been living a lie. But this morning, I made my bed. And I throughly repented of my 25 years of slothful behavior as Ms. RumpleSheets. I felt a quiet sense of accomplishment standing in the doorway, admiring my feat of housekeeping bravado. 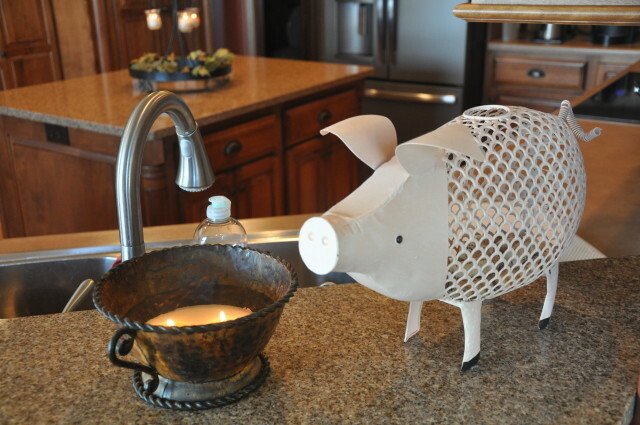 Then I went to the kitchen, cleared out the kitchen sink, loaded the dishwasher, reorganized my Tupperware cupboard, lit three candles, and pulled a metal pig from the corner of the kitchen and set him out, front and center, as a conversation piece. (The pig holds wine corks in his belly.) It took all of 15 minutes. My act of bed-making had set off a chain of small household tasks. And then I stood back and admired all of it, because hi, I’m weird. I felt like a grown-up — a happy, legit grown-up with a made bed, a clean sink, one decluttered cupboard, and a pig on the counter. I felt like a woman who had miraculously pulled herself up from the energy-sucking Bermuda Triangle of Household Chaos. And then I remembered that I still had my “crap stack” of papers by the counter. The crap stack — as my friend Trish affectionately calls it — presently includes graduation invitations, a weekly food journal, and a $92 speeding ticket that needs to be paid by next Tuesday. Woe to me, I am not only living lies. I’m breaking laws, while keeping two-foot-tall, teetering crap stacks. Who knows if this new bed-making habit will stick? Maybe I’m telling you about it today, because I’m hoping it will. Studies show that if people publicly make a confession, and commit to a new way of living, other people are generally empathic and begin to act as accountability partners. And studies also show that adults who make their beds are happier. I don’t know where those studies are, but I believe that they are real, people. (almost entirely in one sitting) earlier this week. There’s a lot of great stuff in that book, trust me. 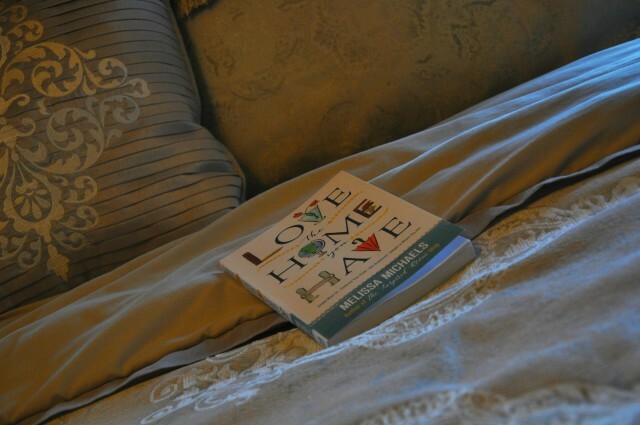 But among many things, Melissa wrote that I had to start making my bed. She said it would help me start an essential morning routine. And since she’s the 2015 readers’ favorite decorating blog at Better Homes & Gardens, I figured she knows what she’s talking about. So I started making my bed. This — I now understand — is what millions of healthy, happy grown-ups around the world have been doing for centuries. I feel like I’ve been invited to a secret club. A club that, as it turns out, the head of the Navy Seals also belongs to. 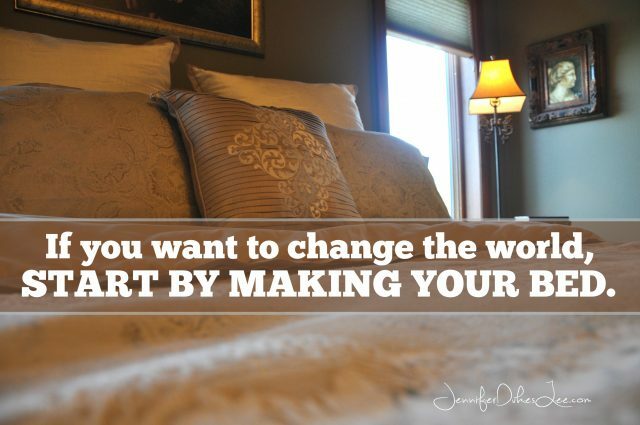 He says that if you want to change the world, start the day by making your bed. Plus, if the rest of the day is a disaster, I can still come home to a bed that I made with my own two hands. And that’s no small thing at all. Oh! There’s one more thing I want to tell you about making your bed. It’s a WWJD thing. What would Jesus do? I thought you’d never ask. Well, do you remember that little bit in Scripture, where the linen cloth has been folded neatly in the tomb, after the resurrection? You know what that means, right? JESUS MADE HIS BED. I didn’t cross-check with the Greek or anything, but I’m pretty sure that’s what it means. Moral of the story: If the Savior of the World could find the time to make His bed before His Grand Exit, then I can surely find the time to make mine. “But don’t you think the angels folded the cloth?” my husband asked me this morning, attempting to destroy the only redeeming spiritual point of this entire blog post. So there you have it, friends. Make your bed. It will change your life. It will make you more like Jesus. Do you make your bed? Regularly? Ever? Is there any secret to getting those maddening fitted sheets to fit on the mattress the right way, on the first try? Click here to buy Jennifer’s book, Love Idol. This is the book for anyone trying to let go of their need for people’s approval. 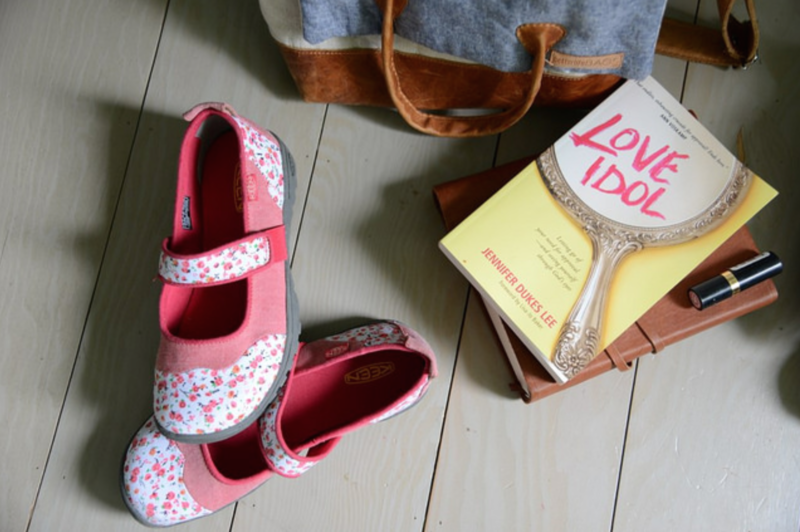 Love Idol inspired started a movement of women across the continent who gave up idols of approval, perfectionism, and people-pleasing, in exchange for God’s perfect love. I love your Princess and the Pea comment. Actually, if it’s cold, our dog will”dig and dig” to make herself a nest, but I do straighten her covers. The “bed fairy” makes our bed. It is a joke between my husband and me. Usually, it’s him since I’m either walking the dog and getting hubby’s paper or fixing pet and people breakfast. If I’m going out somewhere, like church, I like to lay my clothes out on the made bed. That is a quirk I have acquired in my later years! So … I could have written this, every word(except I do not own a metal pig, and my beds been left unmade about 8 yrs longer) Last week I bought new Spring sheets and a duvet cover, so the bed has been made… Maybe this time it will last! I love making my bed! 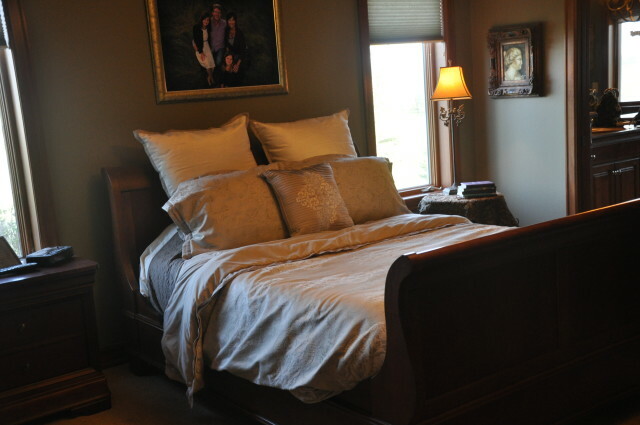 It makes me feel so good to walk into a home, into a bedroom, that looks nice just for me (well, and hubby, too). All of you chronic bed-makers are so kind, not casting the wee bit of judgment on my slothful behavior. 🙂 Thanks for sharing, Ally! I hope I can keep it up. I always make my bed… I feel it is 90% of a clean bedroom. And 90 is close to 100% so I feel so accomplished at the start of my day! hahah!!! Amen to that, De Anna. 90 is goooood. I’m a reformed bed-maker. I used to leave it rumpled, too busy or too apathetic to bother with it. Then I was at a wedding shower in the 1990s, and we were supposed to go around and share a chore we actually liked. I remember one woman explaining that she liked making the bed, not because she liked the work of it, but because she liked the result of it. She said she realized when she made the bed–the biggest piece of furniture and the focal point of the room–the rest of the room could be a little cluttered and it still looked pretty good. It was a big return on investment of her time and energy. That stuck with me, so I started making my bed (though I got a floofy comforter for the easiest possible method). Not every day, but most days. And now I’ve even added a bedspread on top of the floofy comforter, which means I kind of have to spread it out flat to keep it from looking wrinkled, and you know? I don’t mind, because I like the way it looks. Mine isn’t as pretty as yours. But it makes me feel less out of control; a little more peaceful. I can use all the peace I can get. Oh, but I’ve enjoyed this post, Jennifer! Made me smile from start to finish and gosh dern it, I went and made my bed after…. Jennifer Dukes Lee, you made me smile today! Thank you! Loved this, Jennifer! Yes, I’m a bed maker, except sometimes on Sunday mornings. The rest of the house has a long way to go. This morning I decided to finish painting my kitchen, which I started about a month and a half ago. I had to clean the kitchen because you can’t stand on the countertop to paint above the cabinets if there’s nowhere to put your feet, right? didn’t Jesus just fold the part that covered his head? So, actually he just fluffed the pillow. I love a made bed. Things tidy. My hubby is less, well he could live out of a pile of clothes and then sleep on them. So it was MY battle to make the bed…but then a wonderful thing happened. He started making it, for ME. And our 9 year old does now too…and it makes the day start right. Tea,(coffee), smoothie, made bed and out the door we go. 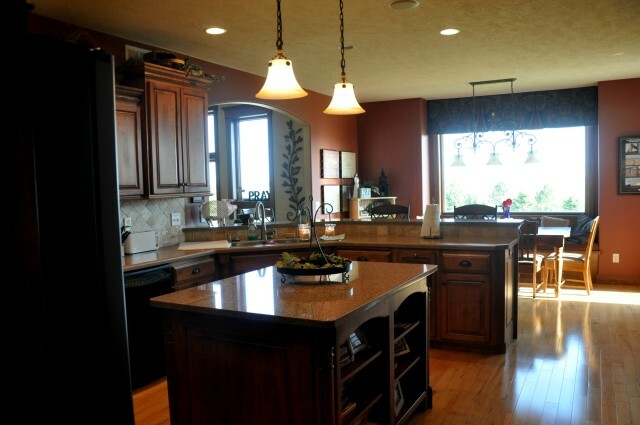 It makes a world of difference to come home to clean counters and a made bed. Like order awaits in a world of chaos. 🙂 Bless you! Yeah I make my bed but pretty sloppy. This made me smile. When school lets out I hope to do a major spring cleaning. 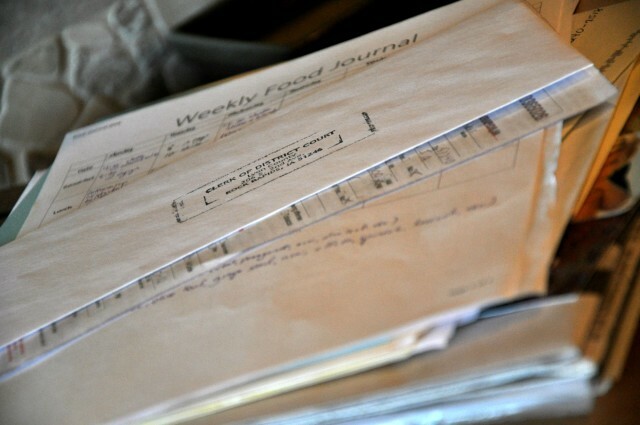 Paper grading season means a very messy house–tracked in dirt, dust from the road seeping in, shavings from the barn. Oh this is hilarious! My friend just announced last week she’s begun making her bed again. It’s something her Air Force father tried to instill in her years ago for all the reasons you and the Navy admiral mentioned. Maybe you are on to something? I don’t know, but God usually speaks to me in three’s, so I get one more before I have to start making my bed! Lol Thanks for the laugh today, Jennifer. Love this post and yes, I do make my bed now. I used to have the same opinion you did but for some reason I started making it and felt so much better when I did. So I stuck with it. I definitely make my bed in the morning. It affirms for me that the little things matter to God, and, like you, I do find that discipline in one area begets discipline elsewhere. As I said on Facebook re: this admirable post/comment, I’ve been making my bed every morning that I can recall…along with my hubby. However, it did nothing to make MY speeding ticket disappear, the one in my ‘crap stack.’ I did show up last Monday and get the fine reduced, tho’, ’cause God is awesome like that. But bedmaking? yep it’s the little things that help the chaos. I am an every day bed maker, and it makes me feel good. I just wish it would work to help me get of several piles in other areas :o) Looking forward to hear if this sticks for you. Thanks for a great post! Yes, I make up the bed every morning unless I plan to change sheets later in the day. Loved this post, Jennifer, so filled with humor and wit. Also love the concept of Jesus folding His own linen cloth – wow! Such a concept! Put the fitted sheet on one corner at a time but don’t do it top top bottom bottom. Do diagonal corners top left bottom right top right bottom left. It is the best way to do it without hurting your back or struggling to get it to work. I love having my bed made. My mother drilled it into me and it just feels good. Sure enjoyed your post today! I’m a part-time bed maker ~ probably always will be, although I’m going to make my bed now in hopes that is spurs me on to other areas in the house that need my attention! I LOVE this! Thank you to Melissa for directing us to your post today. I haven’t made an official commitment with myself to make my bed but I do notice that when I do, it just feels better and you are right “more grown up”! thanks for the inspiration. I’ll go make my bed right now. My grandmother always said, doesn’t matter if your room is clean. If the bed isn’t made the room looks a mess. Couldn’t agree more and it’s been great advice for years! If I walk in a bedroom and the sheets are all rumpled its the first thing I notice! Thanks for the post! Hilarious! My husband makes my bed. And when he’s out of town? Well, I scramble to make it up before he returns!!!! But your post gives me hope that maybe I can get a few things done around here too and maybe even end up changing the world!? If you really want fitted sheets to go on right the first time, buy sheets that have stripes. it takes all of the guess work out. I haven’t been, but I I’m going to get started and try my very best to make it a habit! I have been of the same thinking, why make it if you’re just goingto undo it later. But I am a grown up, and if Jesus did it I should be too! So here I go! This is one of the greatest posts I have ever read! I wake hours before my hubby, and so I’ve given myself a pass on making the bed nearly every day because, ya know, he’s still under the covers when I’m up and at ’em. Perhaps when I get dressed, which I can proudly say I do EVERY SINGLE DAY, I could take a few minutes to make the bed already. I loved reading this, friend, and I appreciate you. Can’t wait to see you at JT…I hope. Right? Rule at my house is : last one outta bed makes the bed! One of the best posts of yours I’ve ever read. And I totally agree with the bed making thing. It was the one thing that saved my sanity as a first time mum with a crying baby. My best friend said, no matter how tired you are, get up, get dressed and make your bed. According to Reader’s Digest, the state of your bed is the state of your head. I. love. this!! I am a recovering Creative Messy (meaning, one who’s creative at making messes), who has improved slightly with each decade. Might I even make it to meticulous before my own exit? Hoping. I relapse, and not infrequently, but oh, how I’ve grown! And ya know, I think it all began with a commitment to… make my bed! I don’t know that this alone has, or will, change the world, but maybe it has, at least one teeny corner of it. And I’m sure it has affected my daily outlook. I read somewhere that the bed makes up a large percentage of a room’s visual space, so that an otherwise totally tidy room with an unmade bed will look messy, and a somewhat cluttered room with a neatly made bed will give a fair impression of tidy. And tidy is catching as much as messy is. Carry on! My heart and prayers (and smile) are with you! And thanks for this, personally. It’s a picker-upper and a motivator for me, too, to carry on! Here’s a story for you: When my kiddos were small, we used to indulge in a weekly stop at a McDonald’s, after music lessons every week. There was a small kaffe klatsch of elderly gentlemen who were always there at the same time. One day one of them came over and asked the kids: did you make your beds this morning? Most of them (probably I had 4 with me at the time) had not. One, my daughter Bethany, nodded her head. She had. The gentleman reached into his pocket and brought out a single quarter, which he gave to her. This became a pattern–every week he would approach our table, and hand out quarters to the kids who had made their beds that morning. We saw in the paper months later that the old man had died! It wasn’t until then that somebody told me that he was a wealthy farmer, probably the richest man in the county! The old guy was changing our minds about bed-making and it was, I’m sure, just one of his lasting legacies. Love the bit about being a grown up with a metal pig! Yes, I do make my bed. I’m a clean, flat surfaces kinda girl, but with three small children (and, let’s face it, myself), those are few and far between around here. So, my bed can be a clean surface during the day. I may not use it for anything, but it brightens my mood to walk thru my room and see it looking nice! I don’t always make it perfectly and just recently added a pretty throw pillow to my arsenal, so maybe I will end up being a grown up after all.